Group Quorum is proud to invite media representatives to the launch of the construction site of their newest residential project Highlands LaSalle in Montreal, on Thursday May 28th 2015 at 11am. At this occasion, Guy Laporte, Peter Cosentini (Founders and Presidents of Group Quorum) and Maxime Laporte (Director of Business Development at Group Quorum) will proceed with the official launch of the construction site, in company of various dignitaries and guests such as the Mayor of LaSalle. 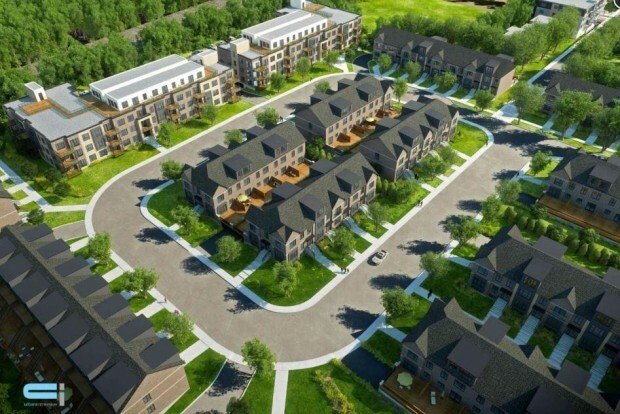 Highlands LaSalle is a multi-generational project of 177 units offering spacious condos, townhouses and duplexes completely surrounded by nature. Situated in the borough of LaSalle, this sector of Montreal welcomes many advantages for its residents. Among these advantages are the proximity to numerous elementary and secondary schools, daycares, several sport fields, the Lachine canal bike paths and an active community lifestyle. This project is one of the many Transit-Oriented Development (TOD) projects by Group Quorum due to its proximity to the LaSalle AMT commuter train station.